4 Seasons Home Inspections promotes J. Szczesny’s excellent home inspection service. With the help of an industrial user experience designer and a graphic designer we converted their html site to a WordPress theme. The new website supports the company’s active and extensive video libraries. 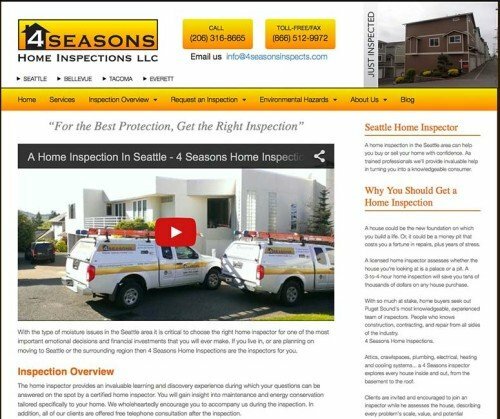 For the best protection get the right inspection with 4 Seasons Home Inspections.